A recent paper asks why the world’s poorest countries are also its most religious. 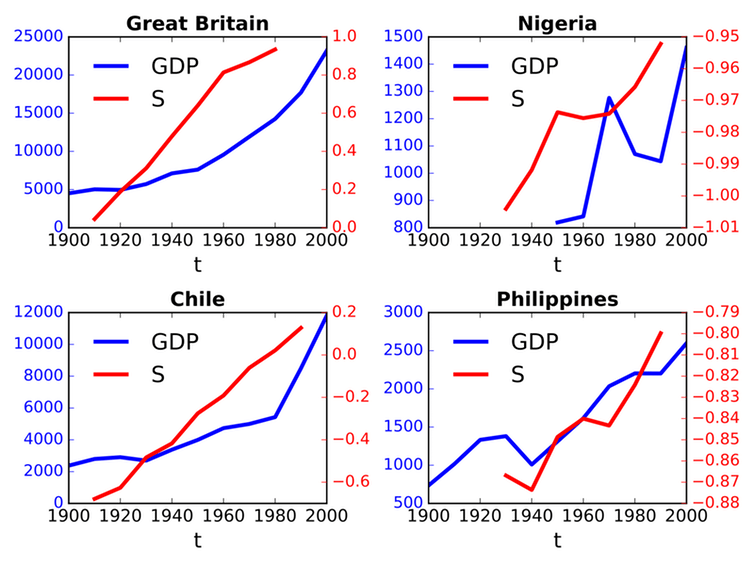 How secularisation (red line) and economic development (blue line) have changed during the 20th century in Great Britain, Nigeria, Chile and Philippines. What do Western Europeans think about immigration and religion?